When I first read about the white lions of Timbavati, I didn't know what I was setting myself up for. I love Africa and will read any book about it. I especially love lions so was excited to read Linda Tucker's "Saving the White Lions." Just another story about one woman's battle to save a species on the brink. How wrong was I. It was not just another story. It was an educational insight into the significance of the white lion to many African tribes, as well as an amazing story of Linda's journey of self-discovery, and what her mission in life was. 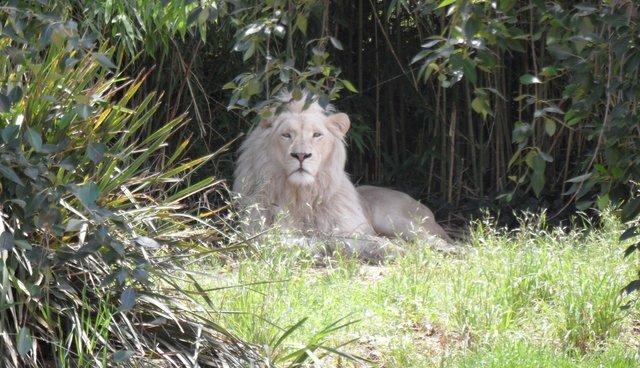 It is believed by African Sangomas (indigenous priests) that the white lion is the direct messenger of the divine and balances the planet's ecosystem. It is said that they were the first animal created and will be the last to roar at the end of times. Linda Tucker went on to found the White Lion Protection Trust and start a scientific, hands-off reintroduction program of the white lion, back into its homeland, Timbavati, South Africa. 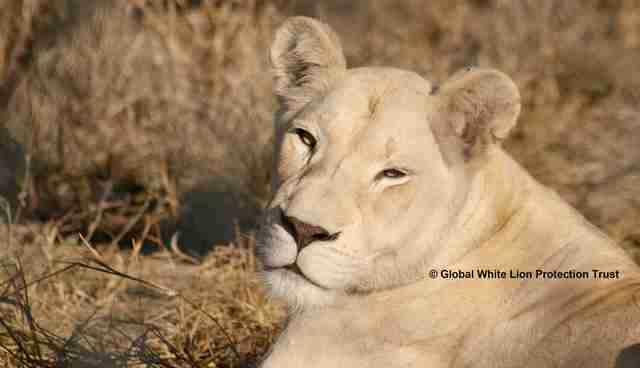 In 2002, when the WLPT was first established, there were no known white lions remaining in the wild in the Greater Timbavati and this had been the status for the past decade. With a critical need to supplement the white lion gene in the wild, the WLPT launched its world-first White Lion Reintroduction Program. Today, the WLPT's founding pride hunts for itself and reproduces without human interference, so this reintroduction program can be considered a success. There is still so much to do though. A few recent reports of white lions being born in the wild in the Kruger are a major cause for celebration, however, with their beautiful white fur and pretty blue or green eyes, they are highly sought after by trophy hunters, and are often stolen from the wild by canned hunting organisations purely because of their monetary worth as a head mounted on some greedy, rich, fat man's wall. Or in this case, some pretty, blonde, cheerleader's wall. I started The Feline Foundation in 2012 because I love cats, plain and simple. We're an Australian non-profit that raises money to help domestic and wild cats around the world, including big cats in Africa. 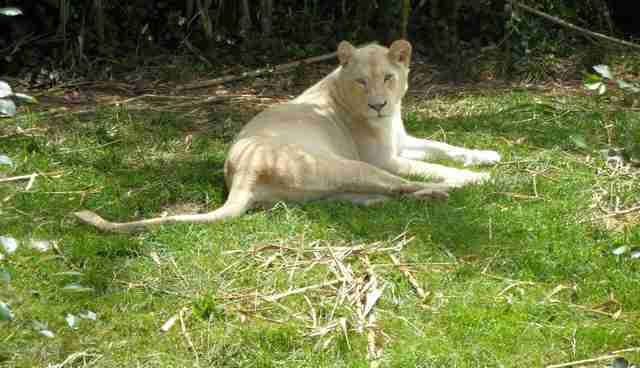 On April 18 we are holding our very first real life fundraiser for the White Lion Protection Trust. It's a very special screening of one of my all time favorite movies, the 1966 classic, "Born Free." It will be held at Event Cinemas in Sydney at 3:30 p.m., and 100 percent of the proceeds we make will go to the white lions. If you're in Sydney and would like to join us, you can buy your tickets here. If you're not in Sydney but would still like to help out, click here. I hope we can raise a ton for these magnificent creatures, and I hope they continue to make a resurgence and that we continue our fight against the barbaric practice that is trophy/canned hunting. Regardless of the cultural and spiritual significance of the white lion, to me, the white lion is a symbol of my favorite animal's refusal to give up. Lion numbers in general have dropped incredibly rapidly in the last 50 years - from 450,000 in 1964, to just 20,000 today. An alarming and very scary descent. 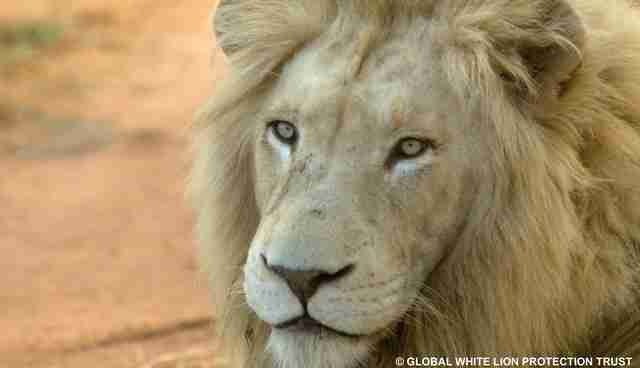 But surely, if the rarest of all lions, the white lion, can make a comeback, then there might just be hope.